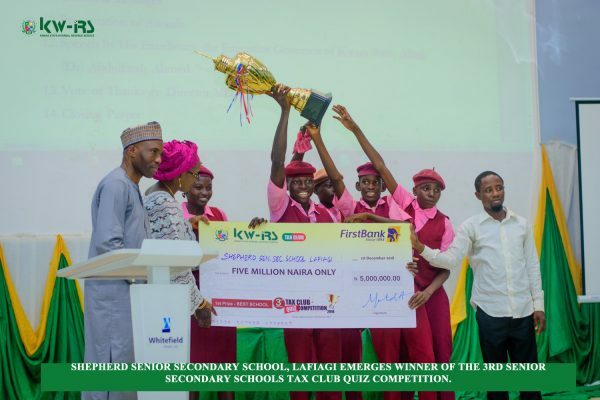 The Annual Tax Club Quiz Competition organized by Kwara State Internal Revenue Service (KW-IRS) in collaboration with the Ministry of Education and Human Capital Development has commenced the 2018 edition of the competition at Oyun Baptist High School, Ijagbo, Oyun Local Government Area of Kwara State. 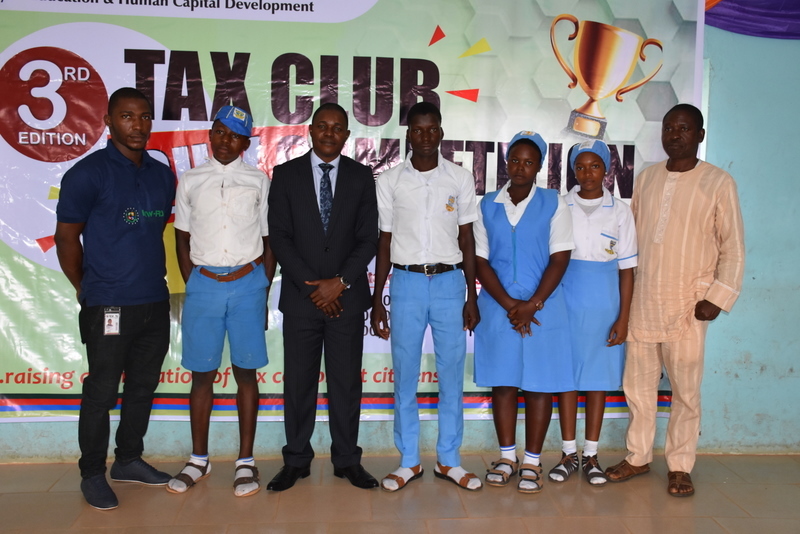 The competition aimed at inculcating tax culture in the minds of Secondary School Students in Kwara State. The Honorable Commissioner of Education and Human Capital Development, represented by Mr Kayode Alabi, while declaring the competition opened, highlighted the importance of the tax club in raising a generation of tax compliance, and increase in tax culture through tax education. He lauded the commitment of the Service in tax awareness and the raise of the grand prize from one million naira (N1, 000,000) to five million naira (N5, 000,000). He assured that the ministry will work towards the success of this year’s competition and urged all participating schools to adhere strictly to the rules and regulations of the competition. At the first preliminary stage in Kwara South Senatorial District, Agbonna High School Share, Oro Grammar School, Oro Muslim High School, Anglican Comprehensive College and Idofian Grammar School qualified for the next round out of over 15 schools that competed.